Week four of the new year and you’re working those resolutions. You’ve dropped a couple pounds. Joined a gym. You’ve got a book on meditation (just have to read it now). And you’ve sworn to manage your time and money better – for real this time. But, did you know there’s one simple thing you can do to improve your physical health, mental well-being and bang for buck? January 30 is National Plan for Vacation Day. It’s too bad that a day had to be officially designated to convince Americans to plan and use their hard-earned paid time off. Alas, more than 50% of us leave vacation days on the table. That totals 662 million unused vacation days each year. We’re a nation of work martyrs and the collective impact of our “vacation deprivation” is burn-out, loss of creativity and strain on our personal relationships. The U.S. Travel Association just released a report called The State of American Vacation 2017 that found that people who plan their vacations actually use more of their time, take longer vacations, and are happier. And they’ve created a vacation planning tool that allows you to enter your earned vacation days and plot your upcoming trips, then export them to your work or personal calendars and share them with friends, family and co-workers. Easy, right? Now, the hard decision is where to go. I wouldn’t be doing my job if I didn’t put in a plug for the Emerald City. So, here’s a month-by-month tip sheet to help you plan your Seattle visit in 2018. If you can get away during the month of February, save 50 percent on admission at 40 museums throughout the Seattle area when you stay at a participating hotel. Check out www.seattlemuseummonth.com. 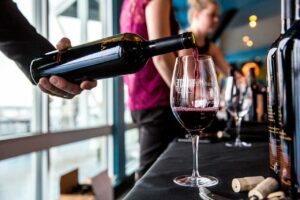 Tickets are on sale now for Taste Washington, March 22-25. It’s the largest single-event wine and food festival in the country. Seattle’s cruise port begins its five-month season with roundtrip Alaskan Inside Passage cruises, and this year we’ll welcome the largest cruise ship on the West Coast – the brand new 4,000-passenger Norwegian Bliss. The Seattle International Film Festival, May 17 – June 10, is one of the largest film festivals in the U.S. with more than 400 films from 80 countries. 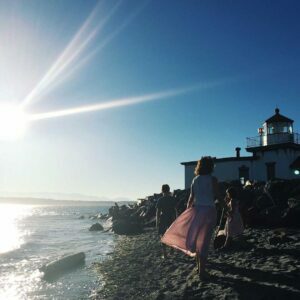 The Northwest sound lives among 200 rising-star musical acts at Upstream Music Fest + Summit, June 1-3. This is the festival’s second year. 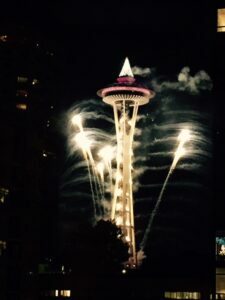 Seafair, Seattle’s annual summertime festival, hosts Fourth of July fireworks, the Torchlight Parade and Seafair Pirates landing – and in early August don’t miss the Seafair Air Show and Albert Lee Appliance Cup unlimited hydroplane races. Daytime highs in the mid-80s, cooling down to the upper 60s at night with warm off-shore breezes. What more do you need? Going on 50 years, Bumbershoot offers the best of comedy, dance, film, theater and literary, performing and visual arts during Labor Day Weekend, August 31 through September 2. The Earshot Jazz Festival runs October 14 through November 4 with jazz greats from around the world performing at more than 50 events around the city. You don’t want to miss the Marvel: Universe of Super Heroes exhibit at MoPOP (which runs through next month). Holidays in downtown Seattle are special with Winterfest at the Seattle Center, the Gingerbread Village at the Sheraton and many hotel packages and special events. Plan your trip and allocate your vacation days at visitseattle.org/holidays. Now, it’s time to make some resolutions for 2019.